The 2009 team. HRH Princess Majda Raad (fifth from left), HE Swedish Ambassador Charlotta Sparre (third from left) visiting. The aims of this year’s excavations were relative and absolute chronological studies at the end of the Late Bronze Age and during the first half of the Iron Age, viz. approximately 1200-750 BC. This period is a matter of recurrent discussion, and a consensus does not exist. 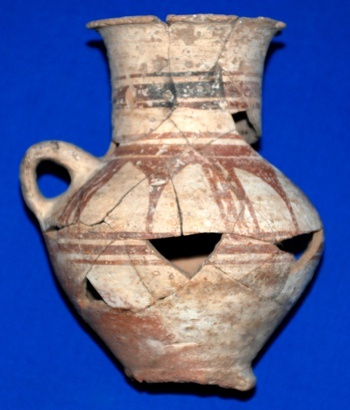 The project concentrates on the cultural material and especially the imported pottery from Tell Abu al-Kharaz, Jordan Valley, which had far-reaching contacts with the entire Eastern Mediterranean sphere of culture. This is evident from the imported material which derives from Lebanon, the Aegean, Egypt and Mesopotamia. 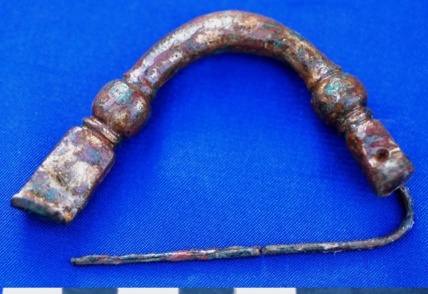 In 2009 three phases of Iron Age occupation were found. The two most recent are preliminary dated to the 9th and 8 th centuries BC.This time span includes the expansion of the Neo-Assyrian empire during the reigns of the Neo-Assyrian kings Shalmaneser V and Sargon II which in 722 BC resulted in the total occupation of Palestine. It is not unlikely that a major destruction layer in the fortified city of Tall Abu al-Kharaz might reflect these events. 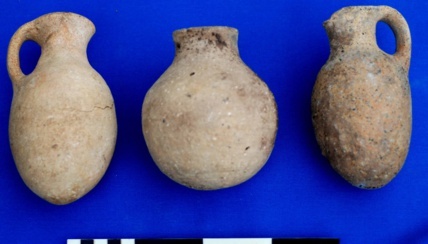 The rich finds from the Iron Age settlement of Tall Abu al-Kharaz demonstrate a flourishing society. Many complete objects were exposed by the team within a domestic complex. The complex comprises parts of two houses which might have had two storey. The lower storey have stone-paved rooms on which numerous objects of daily life were found. 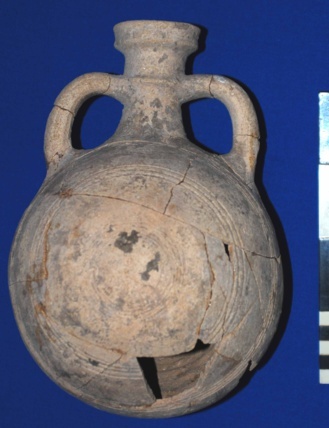 Amongst these are bowls, juglets, jugs, kraters, pilgrim flasks, cooking pots and three complete storage jars. The contents of each of the three storage jars exceeds by far 100 litres of fluid, most likely water. 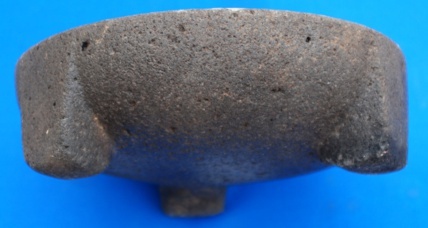 There is also a complete tripode basalt bowl. 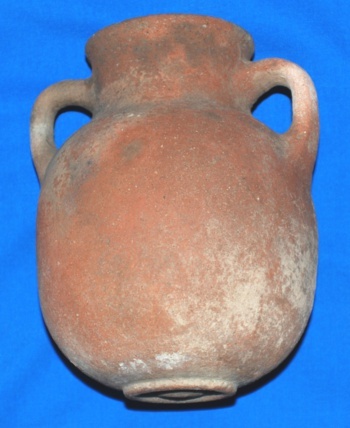 The kraters and jugs contained once oil and wine, and the juglets scented oilsand other valuable fluids. Numerous loom weights of unfired clay, spindle whorls of bone and limestone, and shuttles of split animal rib bones and bone awls provide evidence of textile production. Other small finds include arrow heads of iron, four fibulae of bronzeand iron, bronze earrings and various beads of carnelian and glass. 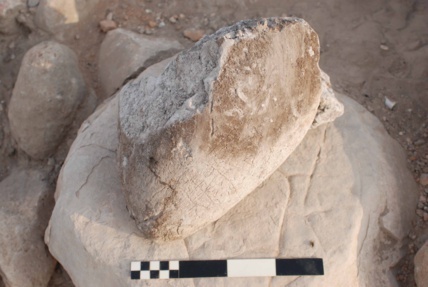 There is also a potter’s wheel which confirms pottery production at the site. A cache with more than1kg of Iron bloom should be mentioned which confirms the production of iron objects at the site (see also season 2008). Cache of iron scrap from the production of iron objects. One of the highlights of this year’s excavation is represented by a complete and skilfully decorated cosmetic palette of alabaster. Several complete cosmetic palettes of limestone were found by the expedition during previous seasons but this is the first of alabaster. The cosmetic palette was found on the floor of one of the stone-paved rooms. The object gives proof of excellent craftsmanship: neatly modelled with incised decorations of concentric circles with depressions in their centres. It was quite amazing to discover the remains of two pigments in some of these depressions which represent the actual cosmetic powder used by the owner of the object at the time when the house was destroyed. One pigment is of an intensive light blue colour and the other is lilac. Alabaster cosmetic palette with light blue and lilac cosmetics preserved. 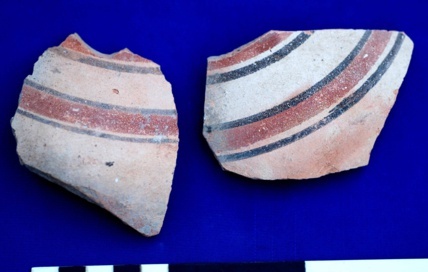 During consolidation work in the southern part of the tell (Area 9) the outlines of a wall-lined space with protrudes from the Late Bronze Age city were discovered. We could expose a small room, approximately 3 m by 3 m in size, which belongs to the Iron Age. The Iron Age people used the older Late Bronze Age city wall as a foundation for their structure. 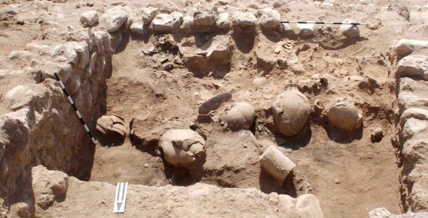 After removing the collapsed roof construction we exposed 18 complete ceramic vessels, objects of bronze, stone and bone. An amazing discovery is a storage jar which was still filled with almost 5 kg flour most likely of barley. Iron Age storage room after the partial removal of the roof construction. Barley flour from one of the storage jar. 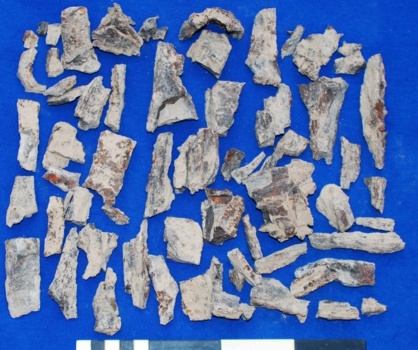 The first 10 radiocarbon samples from 2008 confirms the expected time range based on the pottery and other finds but they are admittedly somewhat lower than expected (University of Vienna, VERA-laboratory, samples VERA-5069 – 5081; E.M. Wild, P. Steiner). 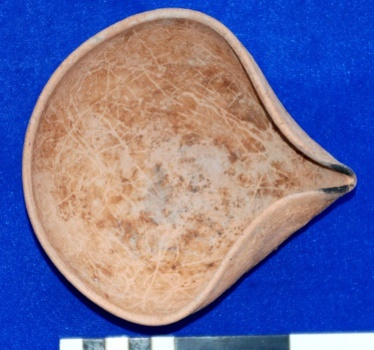 The dates based on the pottery cover the 9th and 8th centuries BC whereas the radiocarbon dates – although they allow these early dates – stretch into the 7th and 6th centuries BC. However, the well-known calibration plateau between 740 and 400 BC might explain the lower range of the radiocarbon dates. There are also radiocarbon dates which confirm a settlement in the12th-9th centuries BC. We also exposed a fairly undisturbed MB/LB transitional context, imbedded within the Iron Age compound, which contained numerous vessels.